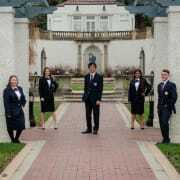 Colorado HOSA- Future Health Professionals is a non-profit dedicated to providing leadership, service and competition opportunities to students who are pursuing careers in the healthcare field. Colorado HOSA- Future Health Professionals accepts donations. Donate Now. Would you recommend Colorado HOSA- Future Health Professionals?